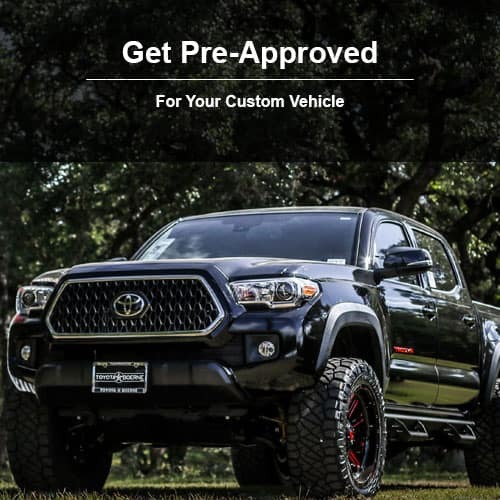 If you’re looking for the local experts to handle the customization of your Toyota Tundra, Tacoma, 4Runner or even RAV4, then turn to Toyota of Boerne. Our certified Toyota Technicians can add a lift kit or another customization option to your vehicle to your exact specifications. 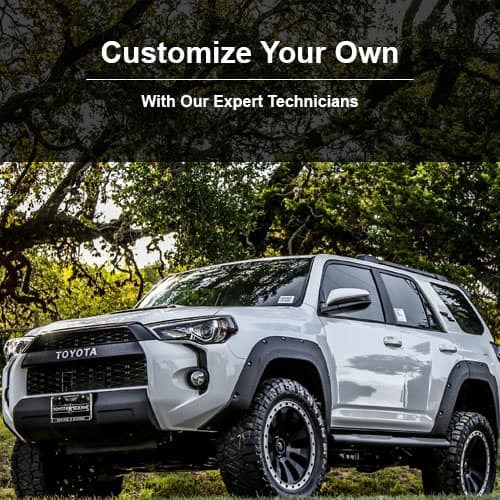 All of our customizations are inspired by Toyota Racing Development which is widely recognized as the go-to authority for customization options. Utilizing Toyota of Boerne technicians for this ensures that you’re getting the top-quality work you want for your customized vehicle. 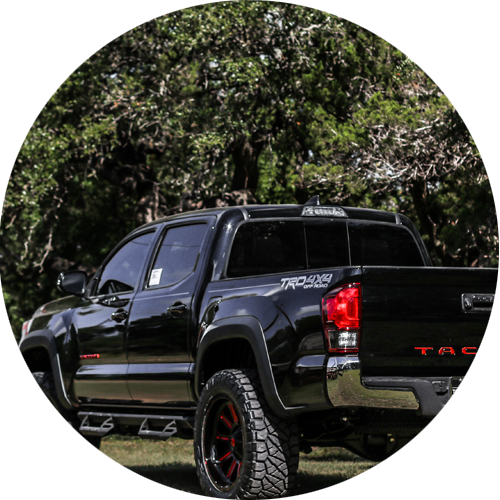 Just check out some of the customized Toyota vehicles we have for sale in the Boerne, Kerrville, and Fredericksburg, TX areas. 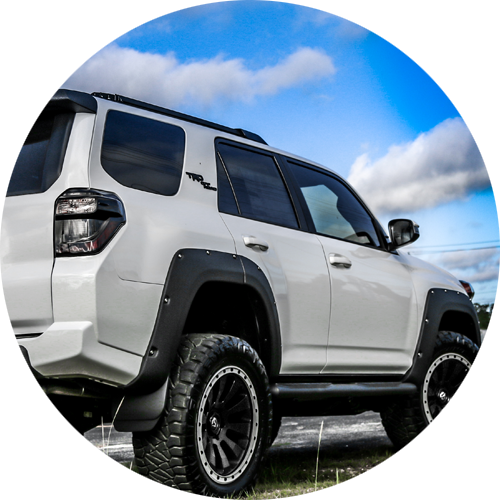 You’ll find that the customization options on these Tundra, Tacoma, 4Runner, and RAV4 models can be performed on your truck or SUV, as well. Interested in learning more about how we can customize your vehicle? Just contact us online or visit our dealership located at 31205 Interstate 10 Frontage Rd, Boerne, TX 78006. 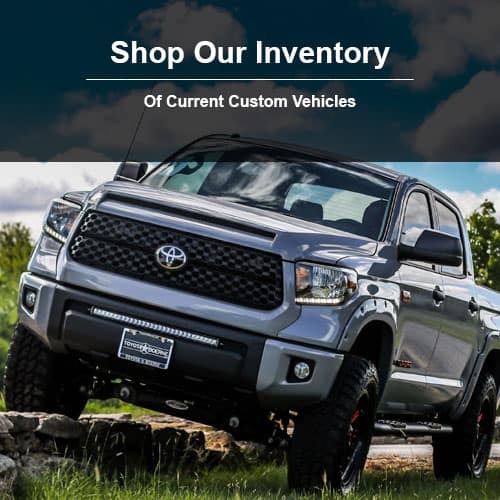 Why Choose Our Dealership For Your Customized Toyota Vehicle? We are the experts when it comes to customizing your Toyota vehicle. After all, we service and maintain thousands of Toyota trucks and SUVs on an annual basis at our service center. That means we know them inside and out and can offer you dependable and reliable customization work.